The guys on the red carpet for the Oscars this year sported traditional looks with sophisticated watches to go with both classic and unconventional tuxes. Jaeger-LeCoultre timepieces made it into the Awards on the wrists of Spike Lee, Nicholas Hoult, and Barry Jenkins, while IWC was worn by Paul Rudd and Chris Evans. Man of the hour Rami Malek wore classic Cartier to go with his Best Actor Oscar for Bohemian Rhapsody. What do all these leading-man watch brands have in common? They’re not just about telling time. 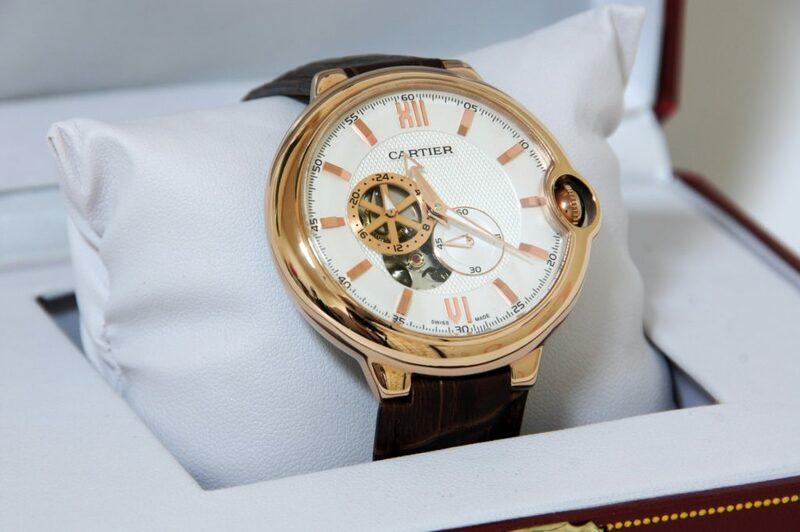 These best designer watch brands are about looking good and making a statement with sophistication and style. So what’s trending in watches to make a leading man get the right look for his style in 2019? Keep reading to see what’s hot right now in horology and decide which timepiece brand is for you. As mentioned, this watch brand made it down the red carpet a few times this year. Jaeger-LeCoultre boasts a strong classic look that goes well with a traditional look and can complement a man with a more non-traditional style. Two favorites this year are the Reverso and the Master Ultra Thin Small Second. The Reverso is the more contemporary of the two and boasts a 24-hour display, two time zones, and a guilloché by Velvety Clous de Paris. The Master Ultra Thin Small Second is the real classic. It’s simple with its round face, vintage Dauphine hands, and smart leather band. And can go anywhere with you. Swiss Jaeger-LeCoultre opened shop in 1833 after Jacques-David LeCoultre was challenged to make a watch strong enough to stand a hit to the face by a polo mallet. Hence the Reverso. The face flips! This Swiss watch company founded in 1869 by American Florentine Ariosto makes its luxury titanium timepieces in Schaffhausen, Switzerland, and is known for its aviation watches. It’s pilot brand Portugieser is gracing the wrists of plenty of stylish gents this season. Two favorites in 2019 are the Portugieser Automatic and Chronograph. The Automatic Pilot piece boasts a more sporty look. Mix it up with a blue dial and wear it with jeans or a classy suit. Another Pilot, the Chronograph comes with vertically aligned subdials, Arabic numbers, and power reserves of up to 44 hours. Store your timepiece in the 18-carat gold case if you like. Swiss watchmaker Edouard Heuer started his first workshop in 1960 in the Swiss Jura. He was just 20 years old. He was determined and had a unique spirit that shows up in his luxury brand sport watches as well as its sponsorship of Formula 1 racing. It’s no wonder that one of the TAG-Heuer favorites is Monaco. That’s Formula 1 Grand Prix circuit territory if we’ve ever heard it. And yes, hence the name. Heuer developed the first stopwatch with 1/100-of-a-second precision in 1916 then made the first dashboard watch in 1933 and the pocket chronograph (stopwatch), the precursor to Monaco, invented by Heuer’s grandson in 1969. The TAG Heuer Monaco has history and is a gorgeous innovative timepiece synonymous with speed, elegance, sport, and the glamour and prestige of Grand Prix. Established in 1847 in Paris, France, by watchmaker Louis-Francois Cartier, this brand is synonymous with elegance and even royalty. In fact, England’s King Edward VII called Cartier the jeweler of kings and the king of jewelers. As mentioned, Oscar royalty Rami Malek picked favorites this year during award season from the Tank line, including the Tank Américaine. 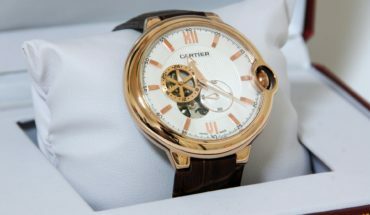 The iconic Tank watch represents “the perfect alliance between technical excellence and geometrical style,” notes Cartier, of its unique style. Its two side piece connect the strap to the case seamlessly. The Américaine boasts an octagonal crown and looks quite smart with the navy blue alligator strap worn by Malek. Founded in 1874 by Georges Edouard Piaget in La Côte-aux-Fées, the company first made movements. It began watchmaking in 1943 and today it’s known as both luxury watchmaker and jeweler, specializing in ultra-thin movements. It’s also known for being the watchmaker that boasts sophisticated bling. Brand ambassador Michael B. Jordan has two favorites this year: the Polo Tourbillon and the Altiplano Meteorite. The Polo Tourbillon, the flashier and pricier of the two, boasts diamonds and 18-carat gold. The Altiplano Meteorite is new on the street and the arms of the rich and famous. It boasts a dial timepiece and a gorgeous grey. The story of Panerai watches begins in 1916 when Giovanni Panerai made a watch for the Royal Italian Navy. He began his watchmaker shop and school on Ponte alle Grazie in Florence. It later moved to Palazzo Arcivescovile in Piazza San Giovanni. The Panerai favorite among top watches for 2019 is the sporty Luminor 1950 GMT. It boasts two time zones and anti-shock tech and still looks glamorous in true Italian-design style. Established in Paris, France, in 1775 by Abraham-Louis Breguet, this luxury brand is known for its watches, jewelry, and even clocks. It’s also known for its royal stature. Marie-Antoinette was obsessed with Breguet’s timepieces and was gifted a Breguet pocket watch. Today it’s owned by Swatch and is headquartered in L’Abbaye, Switzerland, a gorgeous location for a gorgeous watch. Our Breguet favorite among top watch brands for the season is the Marine Chronographe 5527. It’s made of durable titanium and is truly impressive. What’s Your Favorite of the Best Designer Watch Brands for 2019? The best designer watch brands this year focus fabulously on the classics plus sleek contemporary details. Because, really, it’s all in the details. That’s where the fun is. See a watch for you that you’d like to pair with your awesome look and life? Be sure to show it off! And see you can do some dope accessorizing as well.